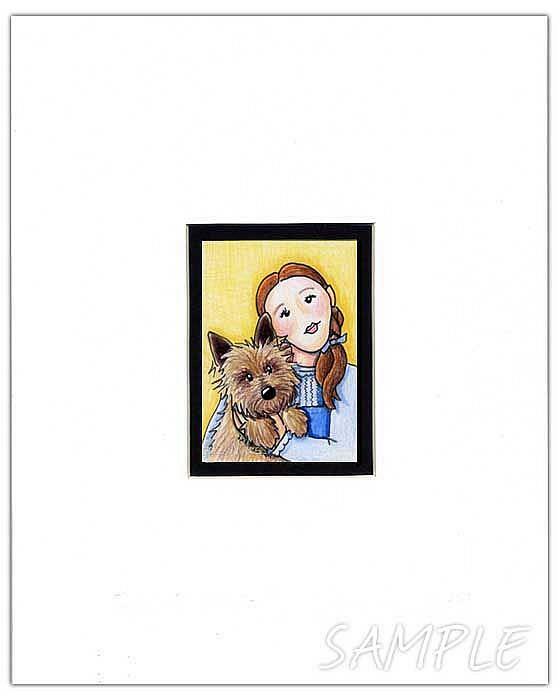 Original art created in India inks, Prismacolor pencils and Polychromos pencils on ACEO art card paper for entry in EBSQ's "Wizard Of Oz" exhibit. 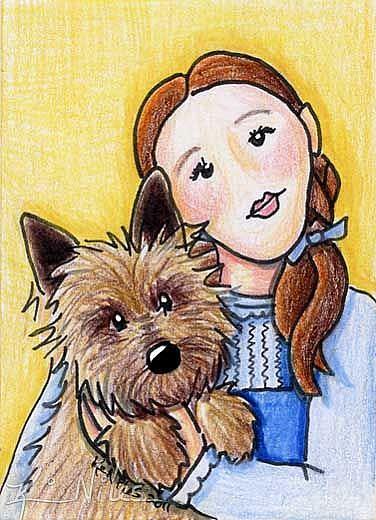 Wizard of oz has always been for me, ALL about Toto and Dorothy's love for him. 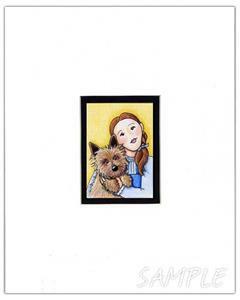 It was the entire reason I braved the wicked witch and her frightening flying monkeys year after year, after year.